Day Twenty Seven: Homegrown Mandarin Season has Arrived! My lovely in-laws have a lovely mandarin tree. We were gifted with an enormous bag of mandarins on Sunday, so of course Monday’s lunch had to be a delicious mandarin salad. I’d already had breakfast and a snack, so I kept this one light and overflowing with perfect satsuma mandarin oranges. Really tasty this time. 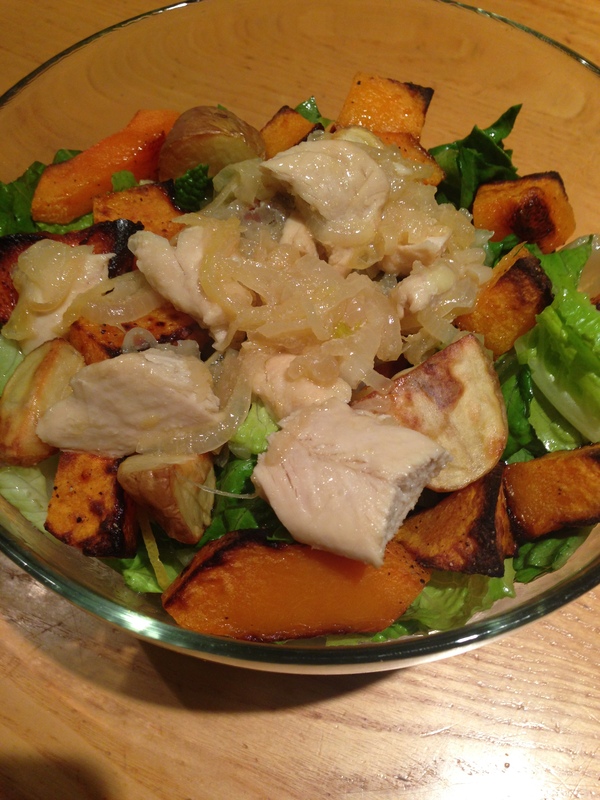 A huge serving of salad with chicken, roasted potatoes, and roasted butternut squash on top. 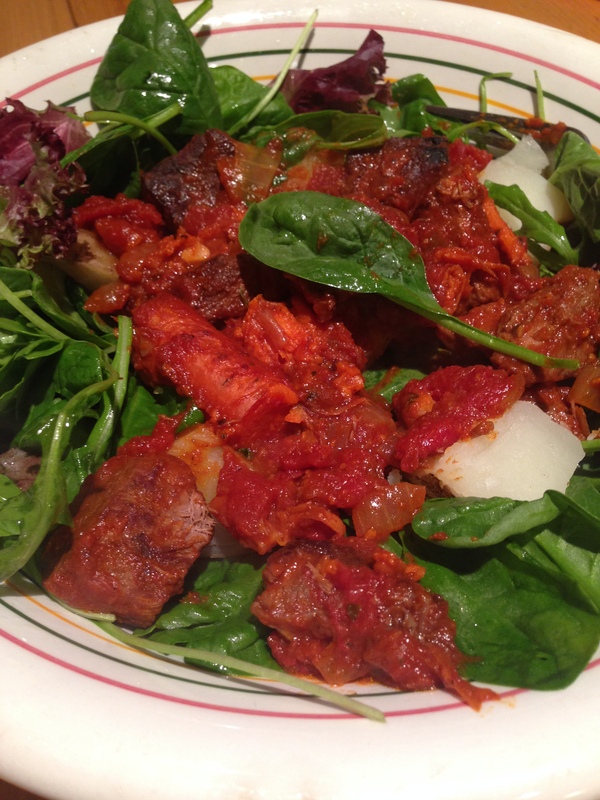 Everyone else ate it on a plate, with a tiny bit of the salad on the side and a huge slice of bread. My way was yummy. 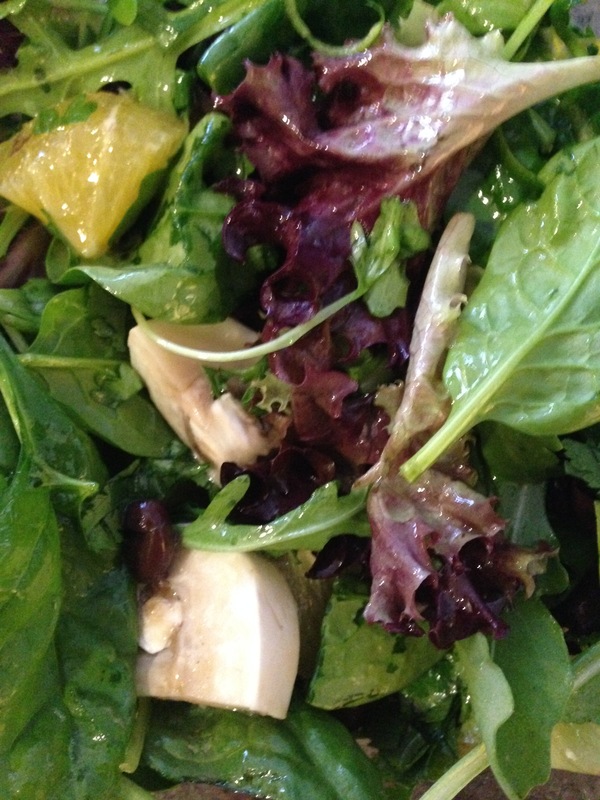 Black beans, navel orange, mushrooms, cilantro, and lime citronette over a bed of mixed greens. My salad meal in a bowl was actually pretty good, though a balsamic vinaigrette would have been a much better match for the tomato-based beef stew. 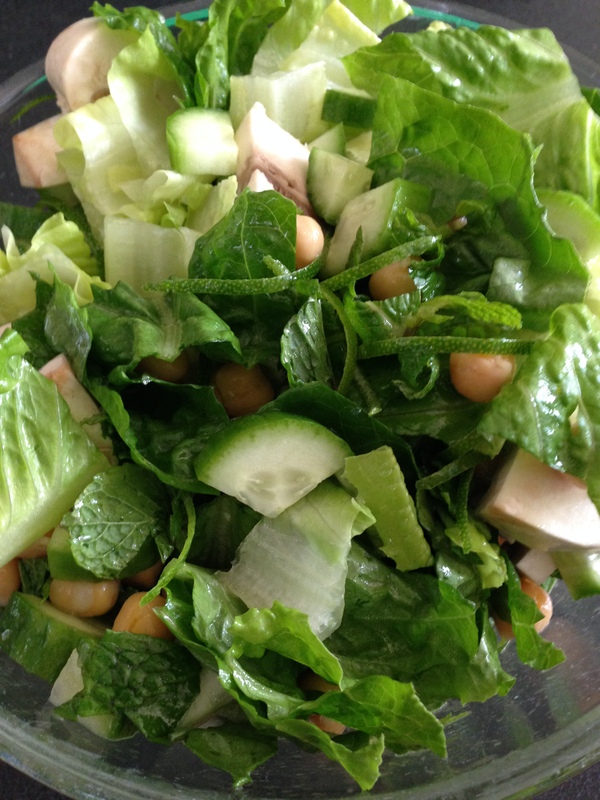 Romaine lettuce, cucumber, garbanzo beans, mushrooms, mint, and lime zest with a lime citronette. Delicious. 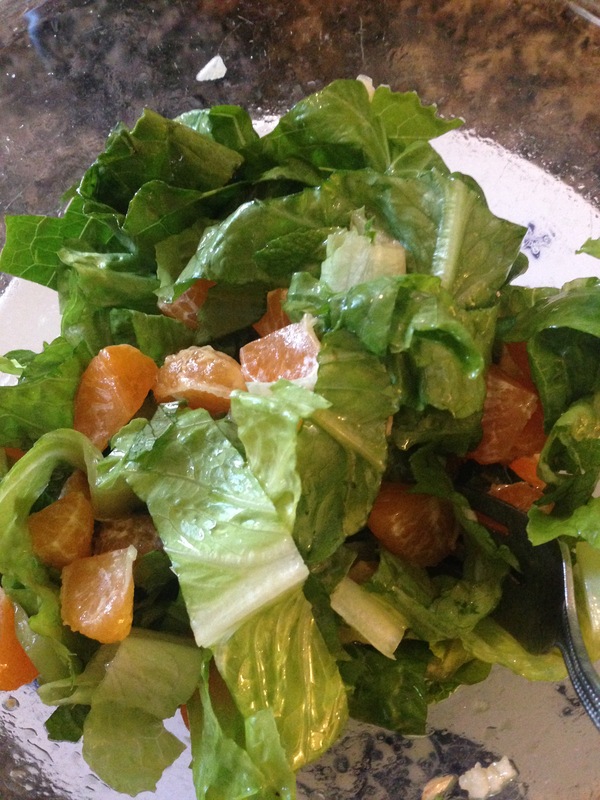 The bright lime worked so well with the crunchy romaine and the mint–very light and fresh. 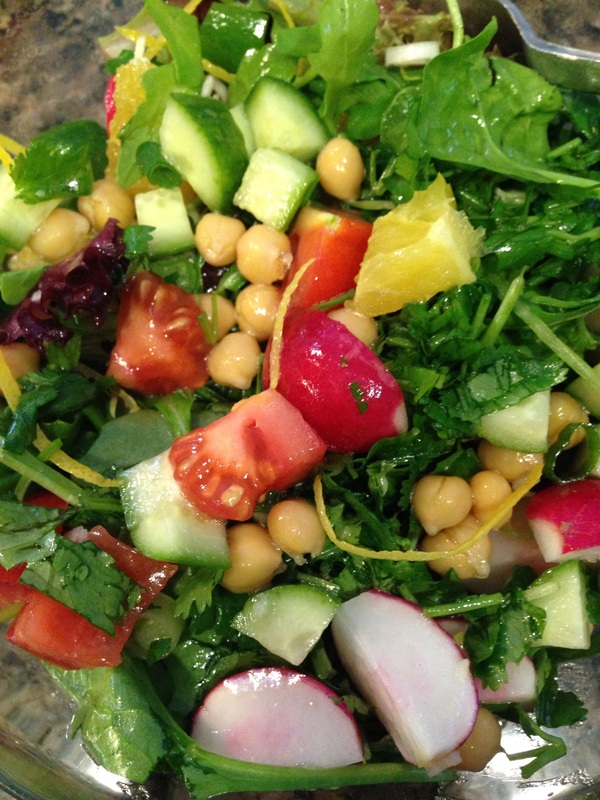 I'm currently in the middle of a challenge--one meal in salad form every day, Monday-Friday, for one hundred days. During this time, posts will be brief. 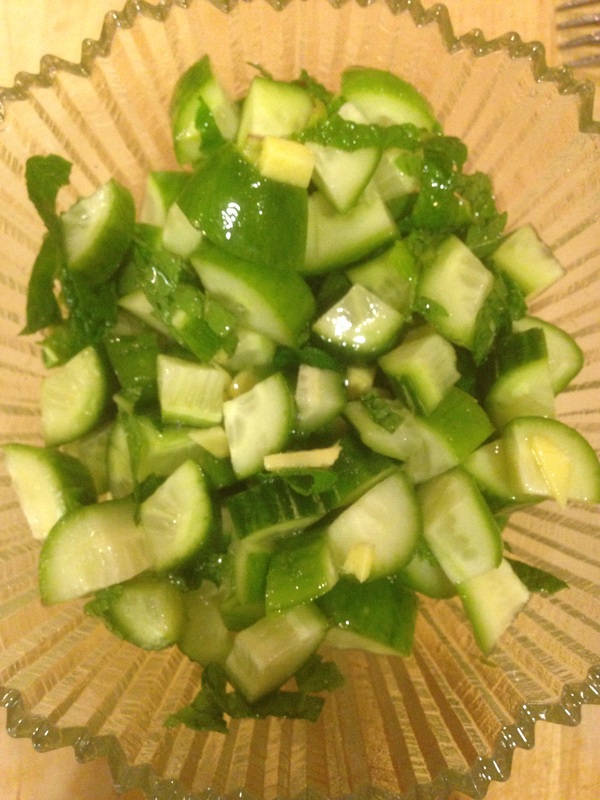 Visit my archives for ingredients lists and detailed instructions. Please join us in the comments; let me know what inspires you!